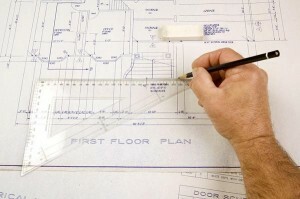 Are you in need of planning permission drawings for your home/commercial property in Hamilton? If so you should come to us, we have years experience in providing planning permission drawings for customers in this area. We have gained a reliable reputation in the time that we have been providing planning permission drawings, this is because we are dedicated to carrying out our services to a standard that will get our customers plans approved the very first time. We use CAD facilities when we are drawing up planning permission plans, this is known as one of the most accurate ways of producing these plans. The benefit of using us for our planning permission drawings is the fact that we will act as your agent, so throughout the full process of your application we will speak to the local authorities on your behalf. Our planning permission drawings are affordable and we’d be happy to give a free quote to you or anyone else in Hamilton who is interested in coming to us. Before any work is started we will carry out a full building measurement survey, this is so that we are able to find out what the dimensions of your property are to allow for more accurate drawings. We will also come out to your property in Hamilton to discuss your requirements, at this point we will also answer any questions that you may have. Got any questions? Simply fill out our contact form and we’ll get back to you.